Labour leader Jim Murphy is facing growing calls to resign after the party’s election meltdown in Scotland. Two leading unions said Murphy should go, while Lothians MSP Neil Findlay quit the shadow cabinet, branding the election result a “disaster”. The pressure on Murphy came as former Labour finance minister Andy Kerr insisted the party should apologise for its campaign and slammed the role played by the Scottish leader. Labour was wiped out in Scotland, where it was left with just one MP after Ian Murray clung on in Edinburgh South. But calls for Murphy to resign were dismissed by a party spokesman last night. Unite and the train drivers’ union Aslef called on Murphy to stand aside because it was “time for a change”. Pat Rafferty, Unite’s leader in Scotland, said: “It is time for change in the Scottish Labour Party. That is the overwhelming, unambiguous message from Scotland’s people, including its trade union members, on Thursday. “Indeed, it is past time for change. Labour in Scotland has been bleeding support and credibility for years. 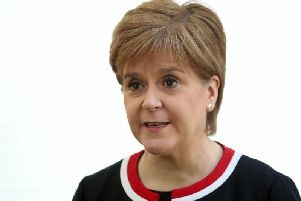 “On one issue after another – the embrace of ‘Blairism’, the opposition to a second ­‘devo-max’ question in last year’s referendum, the ­decision to campaign with the Tories in the ill-judged Better Together campaign, and in the election of a new leader last year – Unite has warned against the course being followed by the party and has, alas, been proved right. “The price of ignoring such warnings has been a virtual wipeout for Scottish Labour at Westminster. Ed Miliband quit as UK leader the day after the election defeat, insisting he took “full responsibility” for the outcome. Kevin Lindsay, Aslef’s organiser in Scotland, said: “Jim Murphy has just presided over the worst election defeat in the history of the Scottish Labour Party. He has to go – and he has to go now. Ed Miliband, Harriet Harman, Nick Clegg, and even Nigel Farage have all stood down, accepting responsibility for, and the consequences of, defeat for their parties at the polls. Findlay said last night that the election was a “disaster” for the party, but stopped short of calling for Murphy to quit. But Findlay’s call was echoed by Kerr, the former health and finance minister, who called for an “independent Scottish Labour party which has got a federal structure”. He added: “If Jim can say some of these things then arguably he may stay in post. But my worry is that Jim’s a product of the system who saw Scotland through the prism of their deep hatred for the SNP.